Mechanical presses have always been considered a high-risk machine in the workplace. In order to provide proper safety for workers, all machines need to be properly inspected maintained and tested on a regular basis. Statistics show that over 40 percent of the accidents involving mechanical press machines are the result of poor maintenance. A federal law, OSHA 29 CFR 1910.217, which directly addresses mechanical power presses. Three key safety standards, which are all voluntary consensus standards meaning that they are not law. A technical report on risk assessment, ANSI B11-TR3-2000, which is an extremely informative document. Fully understanding the three safety standards and the technical report help workers in the manufacturing industry to comply with the OSHA law. The law, the Occupational Safety and Health Act or OSH Act, assures all working people safe and healthful working conditions. All personnel involved in any aspect of working with a mechanical press need to be made aware of the safety dangers that exist and the proper methods to be used with the machine. This includes management personnel, mechanical press operators, die setters, maintenance personnel and anyone else that may come in contact or work near the mechanical press machine. 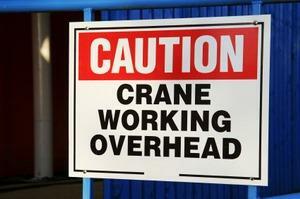 Safety signs should be posted in the proper areas in all the languages spoken by the workforce. Using a combination of symbols along with brief text is generally effective. Never post a safety sign on the mechanical press guard; when the guards are removed the sign is also removed. All controls and electrical components should be updated following any new legislation in that area or immediately if a risk is perceived by the machine operator. It is essential that the light curtains are positioned correctly on the power press. If needed horizontal barriers or barrier guards may be needed in conjunction with the light curtains to ensure the safety of the workers. All workers, including maintenance personnel, must be required to follow all safety procedures of the mechanical press including locking out and returning controls of the mechanical press to their proper settings and configuration. Following proper mechanical press safety procedures is imperative for safeguarding mechanical press operators and others workers in the area from accidental injuries that can result in amputations and may even be fatal. Besides following all of the proper safety measures, anyone operating or near a mechanical press needs to be aware of the dangers and use their best judgment along with their common sense in all aspects of their work.